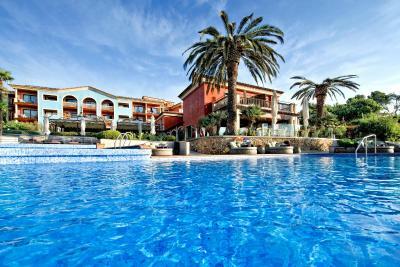 Lock in a great price for Hotel & Spa Cala del Pi – rated 9.3 by recent guests! 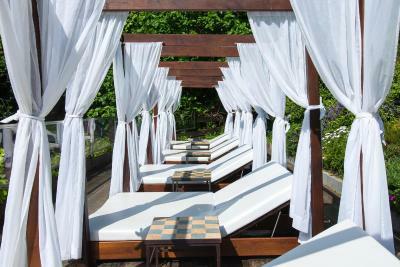 The staff were excellent and very helpful whenever we had questions or required assistance. 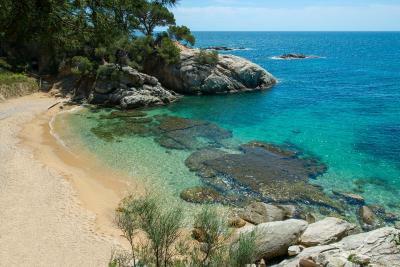 The property itself was very well located on the coast in a quiet area on the edge of Platja d’Oro with views that overlooked a small beach with crystal blue water. 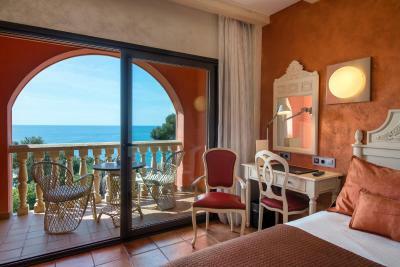 The room was spacious and had a very large balcony/terrace with views of the sea. 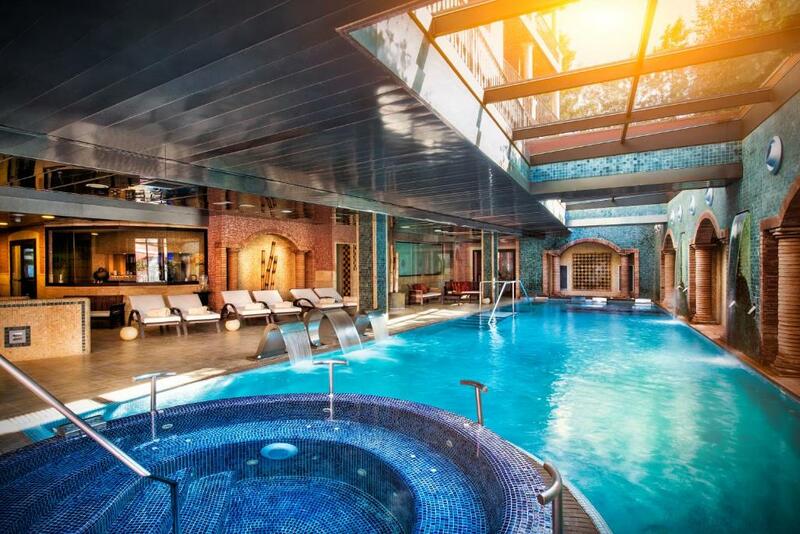 The Spa was a fantastic space with heated pools, sauna and several showers of differing types and the hotel restaurant was excellent with great service and high quality food. Breakfast was overall ok but not great. 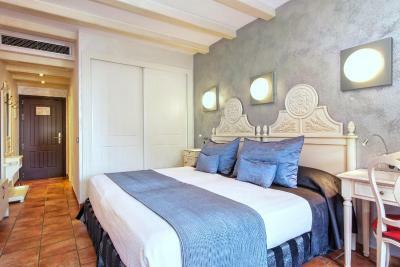 Rooms are nice, spacious and comfortable. Everything was perfect. Very nice room, SPA is great, Hotel overall is amazing. Very good breakfast. Highly recommended. 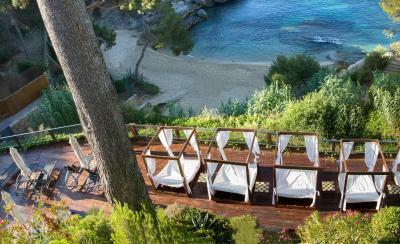 The spa, the terrace, the bed, the cove. We went with our 1-year old and they allow you to take your kids during restricted hours fron 9-10am and from 2-3pm. The director of the hotel offered to comp the 10€ room service charge so we could have breakfast in bed and have more time to get in the early morning spa time with our baby. 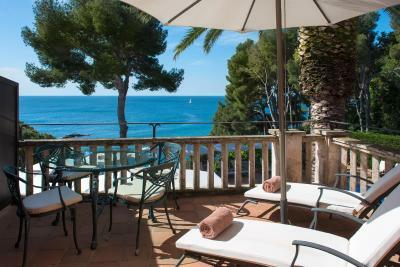 Great room, view, terrace, spa, breakfast... great everything! Lots of nice details (for example, at the checkout we were given two small bottles with water "for most comfortable car trip"). We will definitely come back! 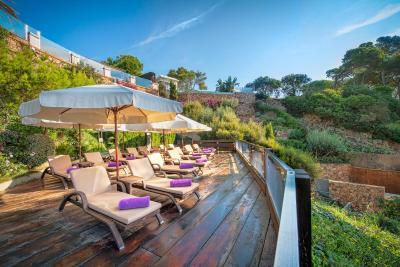 Beautiful propert with amazing indoor and outdoor pools plus a gorgeous beach! Amazing European breakfast. Restaurant was delicious. Beautiful location in quaint town with beautiful views and nice quiet beach. The staff, particularly Ernesto, was excellent. Breakfast is excellent. Staff are generally very friendly and helpful (although sometimes a little stretched). Location is excellent. The staff were so friendly and accommodating! 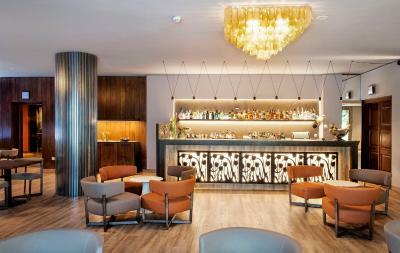 Exceptional service in a luxurious atmosphere. 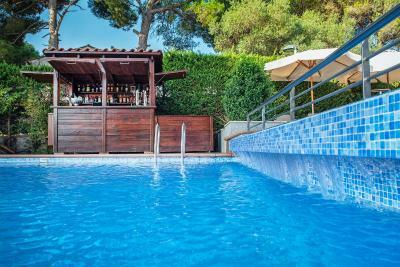 Highly recommend....the location was perfect - on the beach, a secluded cove that you could easily walk to and if you prefer less people, the pool was lovely with an exceptional view of the Med! 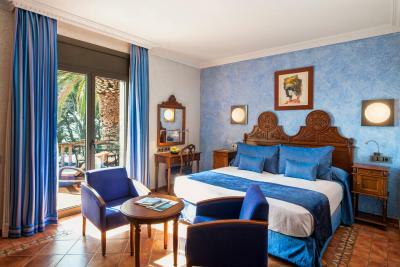 Hotel & Spa Cala del Pi This rating is a reflection of how the property compares to the industry standard when it comes to price, facilities and services available. It's based on a self-evaluation by the property. Use this rating to help choose your stay! 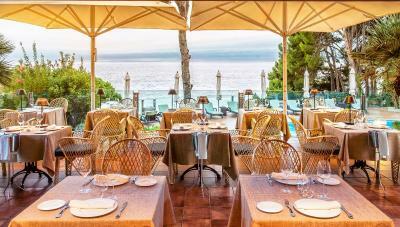 One of our top picks in Platja d'Aro – and a guest favorite. 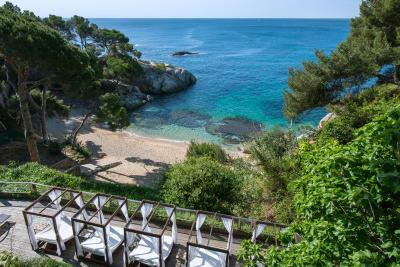 This luxury hotel offers direct access to Platja d’Aro’s Cala del Pi Beach. 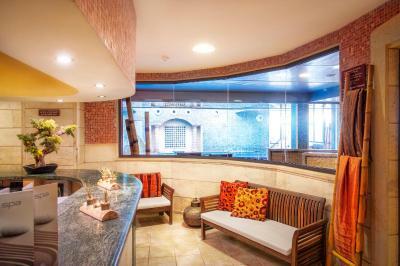 It has a free 1969 ft² spa, free WiFi and parking and an outdoor pool with sea views. 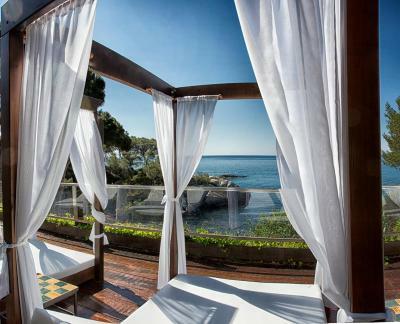 Rooms at Hotel & Spa Cala del Pi feature a hydromassage shower and a private terrace, many with views over the Mediterranean Sea. 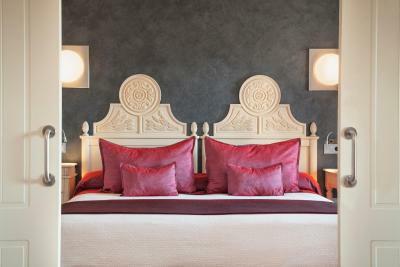 All come with satellite TV, pillow menu and Tous amenities. 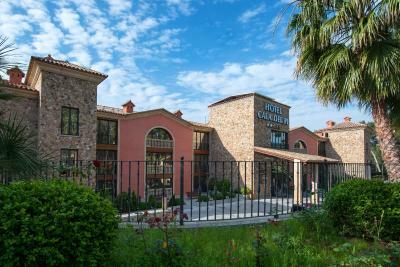 Hotel Cala del Pi features a heated indoor pool, waterfalls, ice fountains, a Finnish sauna and Turkish bath. 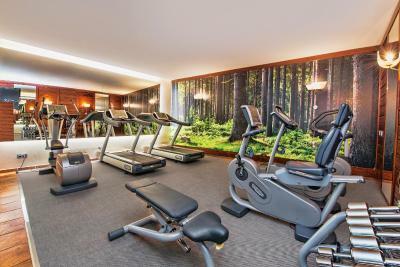 There is also a small fitness center. 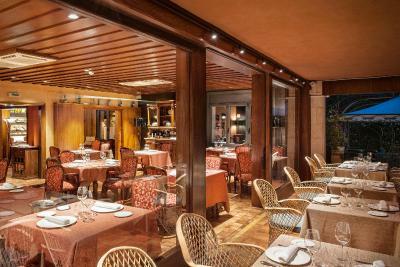 The Rosa dels Vents restaurant serves Mediterranean cuisine prepared using seasonal products. 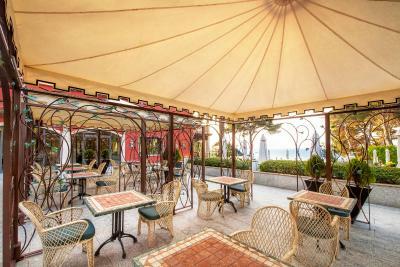 The café bar includes a summer terrace overlooking the sea. 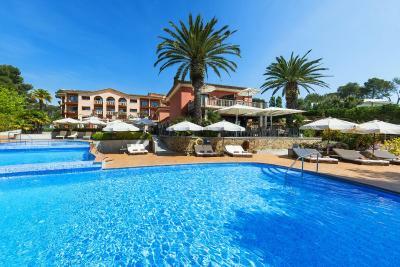 Hotel & Spa Cala del Pi is located on the Costa Brava, just 17 mi from Girona-Costa Brava Airport. 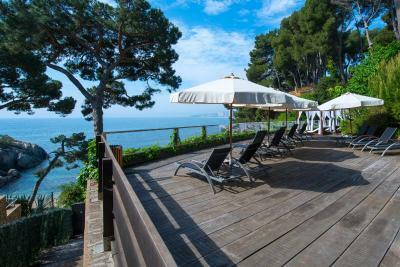 This property also has one of the top-rated locations in Platja d'Aro! Guests are happier about it compared to other properties in the area. 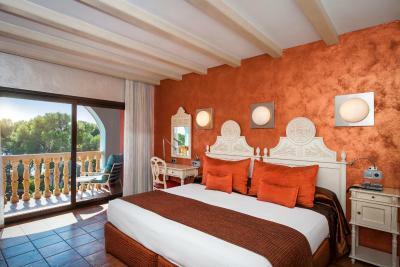 When would you like to stay at Hotel & Spa Cala del Pi? This air-conditioned room features a hydromassage shower and a terrace or balcony. It comes with satellite TV, a pillow menu and Tous toiletries. 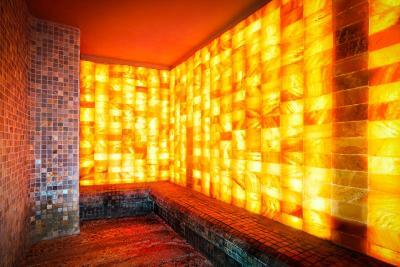 Includes free access to the 1969 ft² spa. 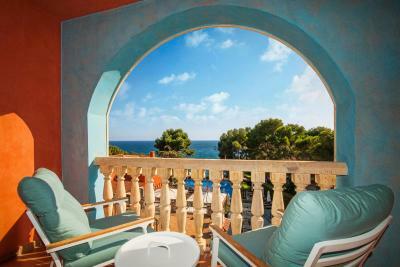 This room has a private terrace or balcony with spectacular views over the Mediterranean Sea. It also includes satellite TV, a pillow menu and Tous toiletries. Includes a 40-inch plasma-screen TV, separate hydromassage shower and bath and large terrace or balcony with spectacular sea views. - late check-out until 16:00, subject to availability. 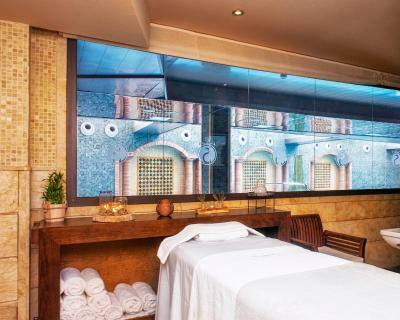 This suite comes with a flat-screen TV, a living room with a sofa bed, a large terrace or balcony with views and a separate hydro massage shower and bath. 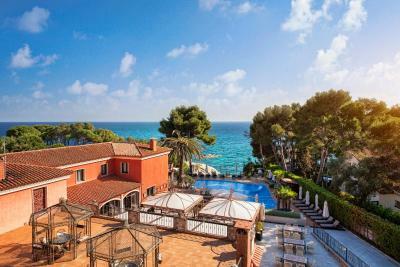 Enjoy a unique, distinguished place in Cala del Pi bay. 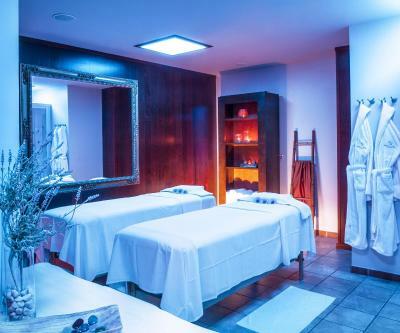 Spa of 600 m2 with exclusive treatments in unique facilities. 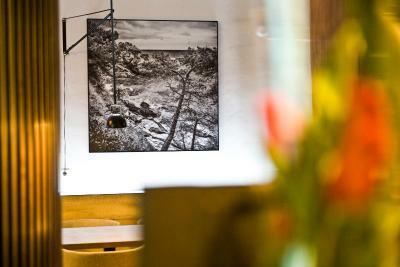 Gastronomy based on the creative cuisine of the restaurant Rosa dels Vents, run by the chef Enric Herce. Chill-out area in which to relax while looking out over the sea. An ideal place for having a cocktail. 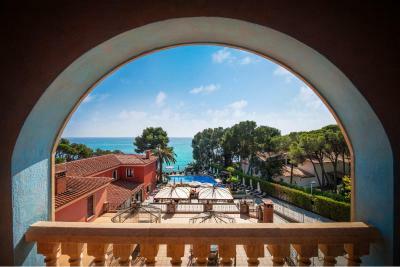 House Rules Hotel & Spa Cala del Pi takes special requests – add in the next step! 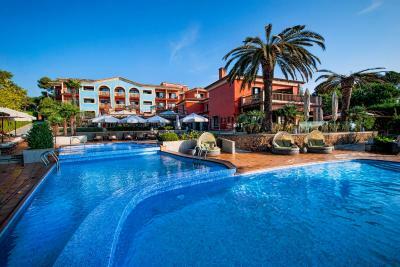 Hotel &amp; Spa Cala del Pi accepts these cards and reserves the right to temporarily hold an amount prior to arrival. 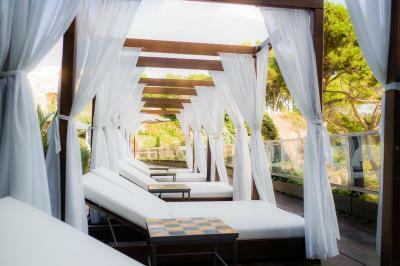 Hotel & Spa Cala del Pi accepts these cards and reserves the right to temporarily hold an amount prior to arrival. Please note that entrance into the spa for children under 16 is only permitted from 9:00 until 10:00 and from 14:00 until 15:00 under the supervision of an adult. 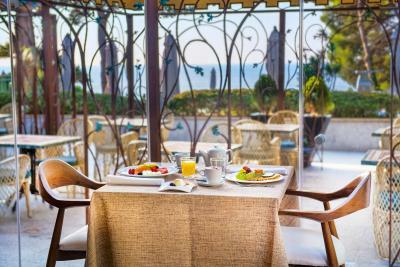 The hotel is very spacious and the spa is one of the best I have been too.The breakfast buffet is high in quality and variety,the staff is super nice. 1) Room A/C system did not work for two of the three days (staff did try to fix it multiple times, and did end up fixing it on our last day). 2) Ants in and around the bathtub. 3) Overall facilities / linens showing wear, but clean (other than the ant issue). 4) Overall, place seemed to lack atmosphere (still early in the season, so may not be a truly fair assessment), and did feel / operate like other 4 or 5 star hotels we've stayed at globally. In general, we felt the property ratings didn't reflect what we expected / experienced. We usually feel Booking.com ratings are on point, but not so much in this case. Spa offerings included with room were nice. Beach and views were great. Location is great (quiet part of town, but still close enough to center of town, great restaurants and shops). Desk staff was always pleasant and helpful. Nice breakfast selection. Nothing, we enjoyed the stay and were happy with everything! Top 5 star service! 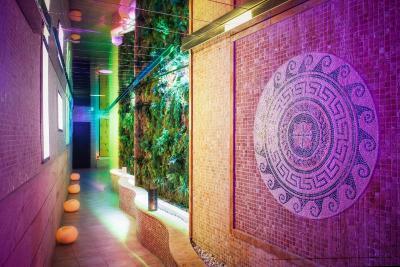 Friendly staff and a very cute, clean, world class SPA! 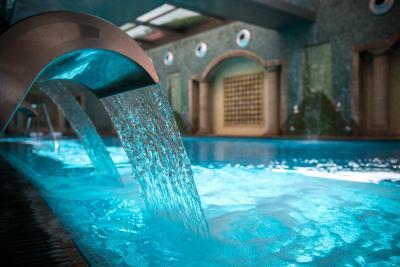 Spa is amazing!!! Beach perfect!! Great staff! Evening meal was not a success and overpriced ! Plenty of free secure parking. 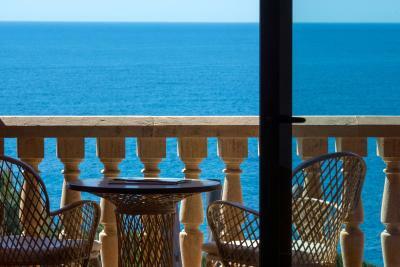 Excellent sea view room which we had specifically requested after our visit last November. Large balcony with very very comfortable chairs in which you could fall asleep ! 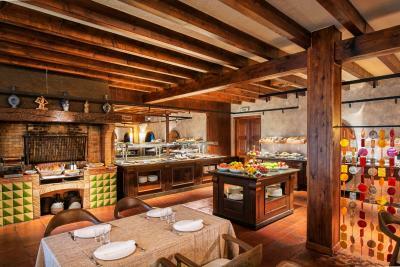 Excellent breakfast buffet with fresh squeezed orange juice and seven different types of cut fresh fruit. I think more fresh fruit varieties than we have come across in any hotel in the world.